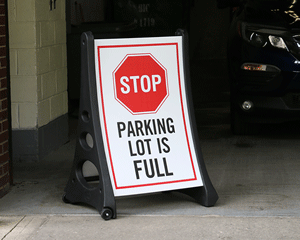 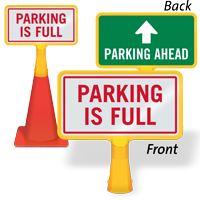 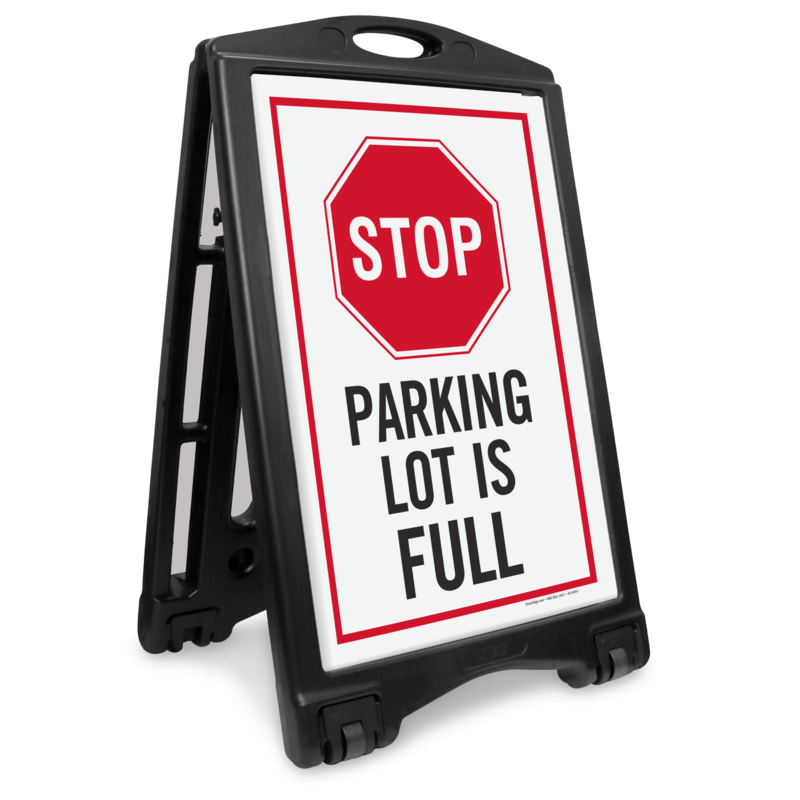 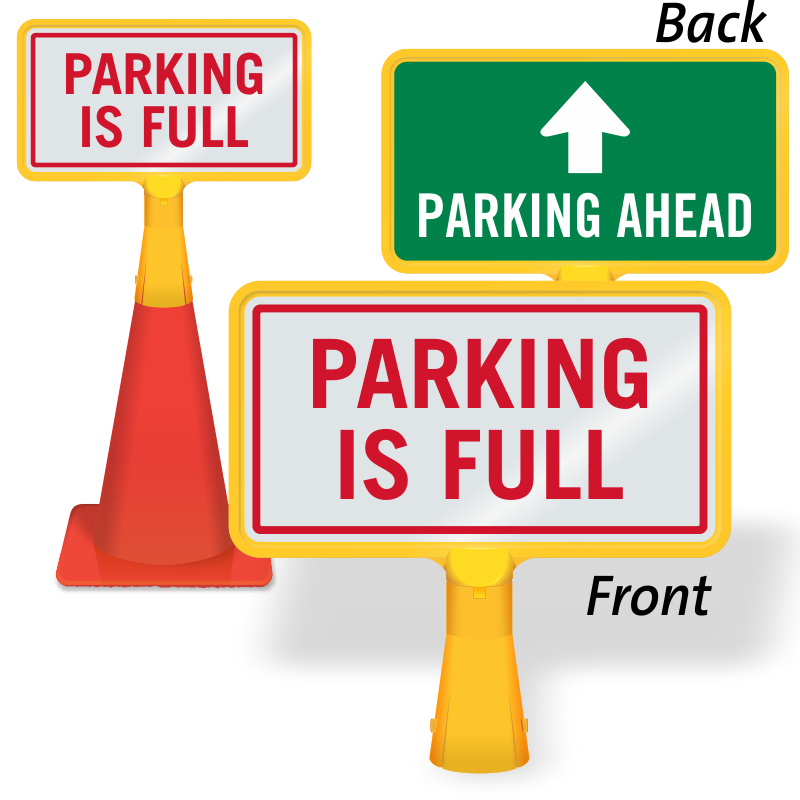 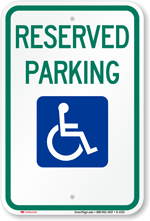 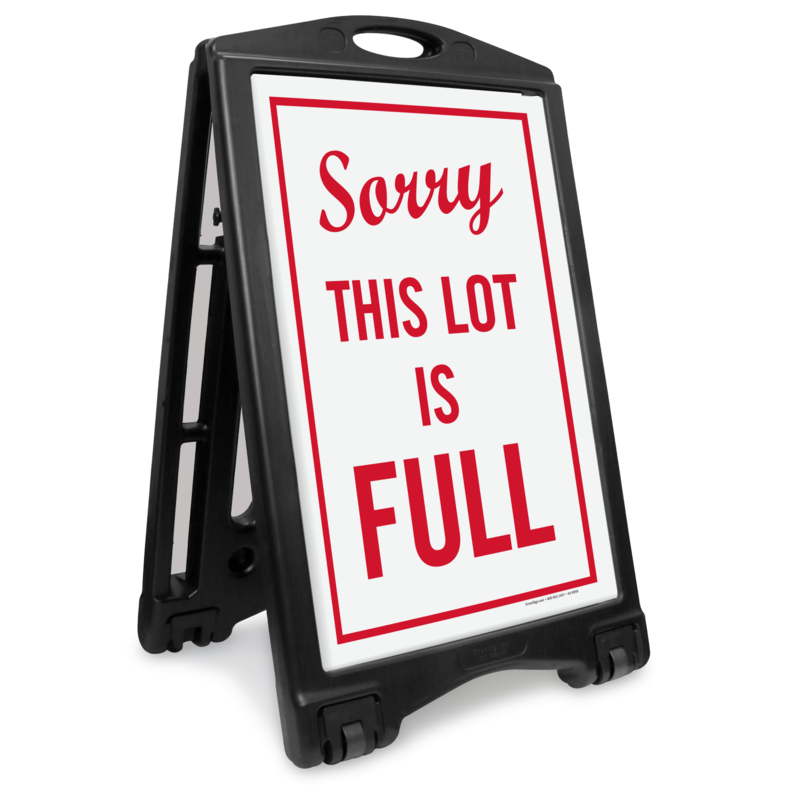 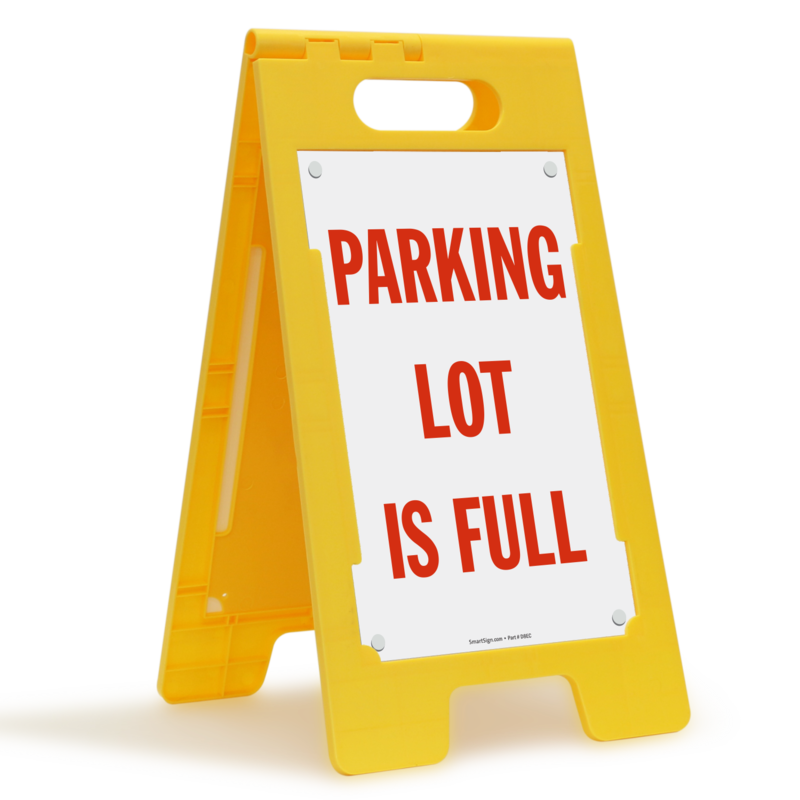 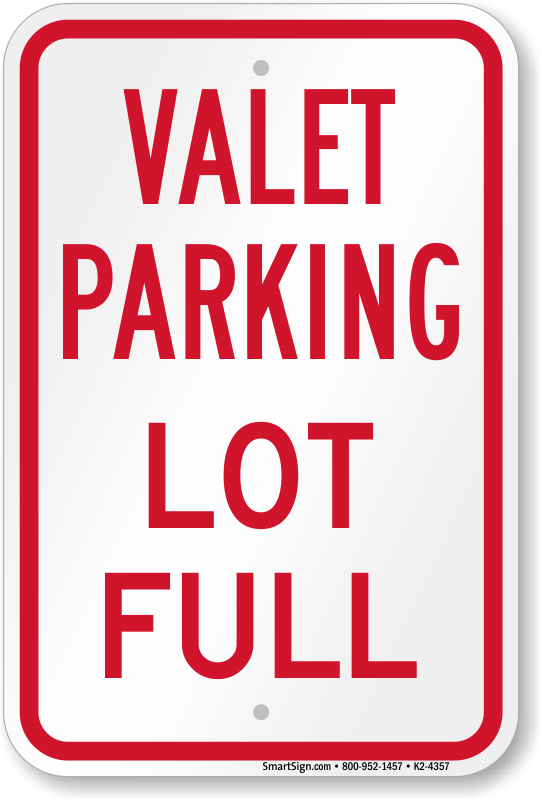 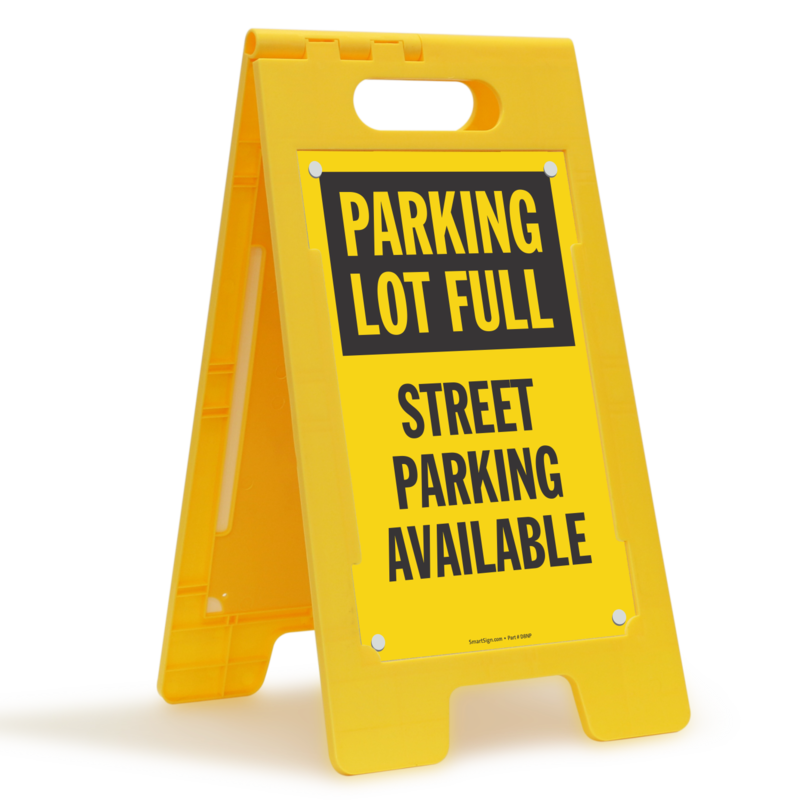 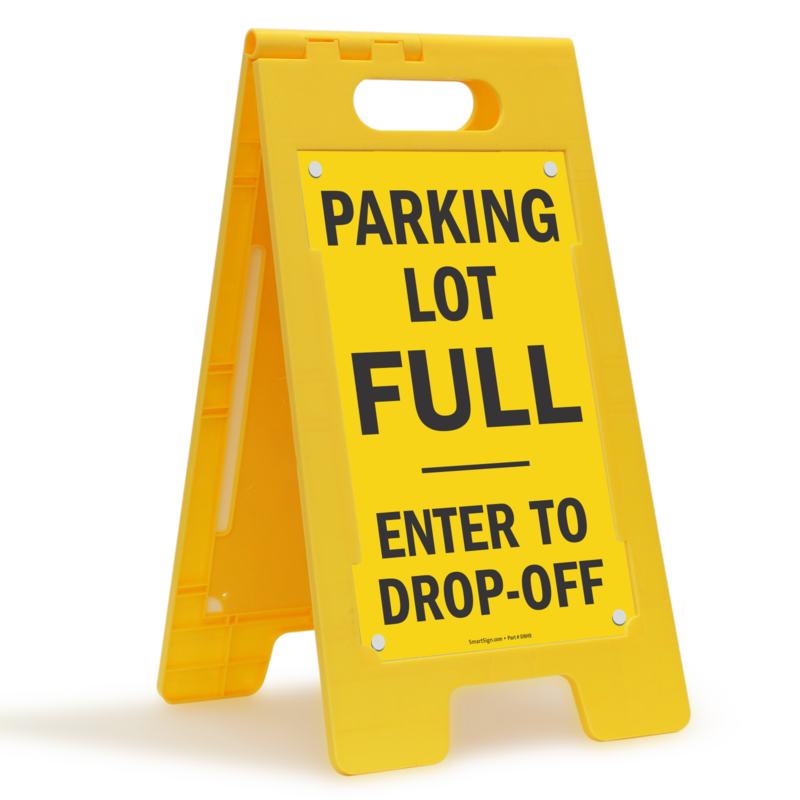 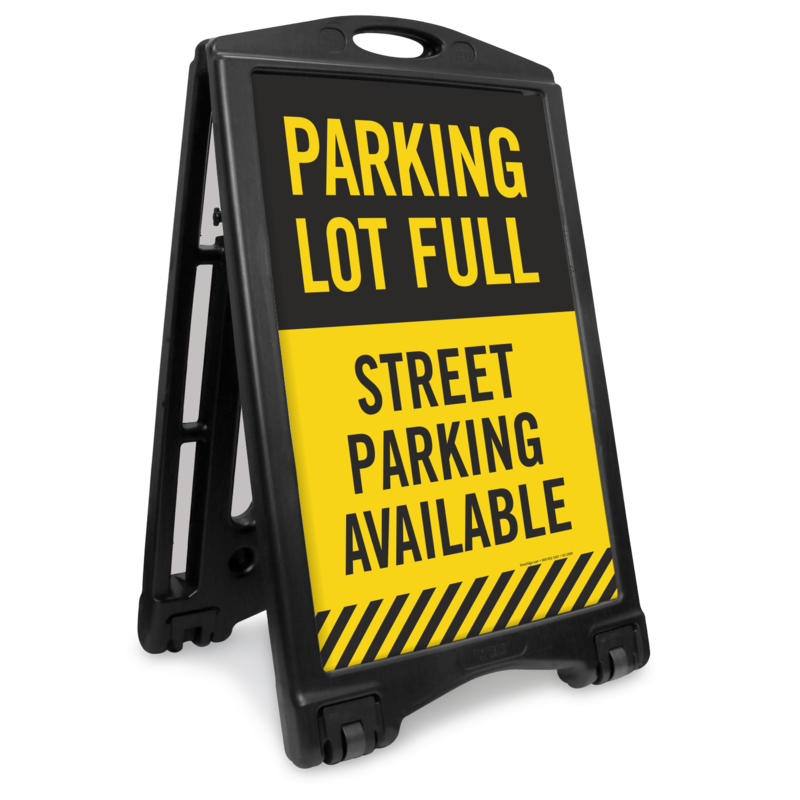 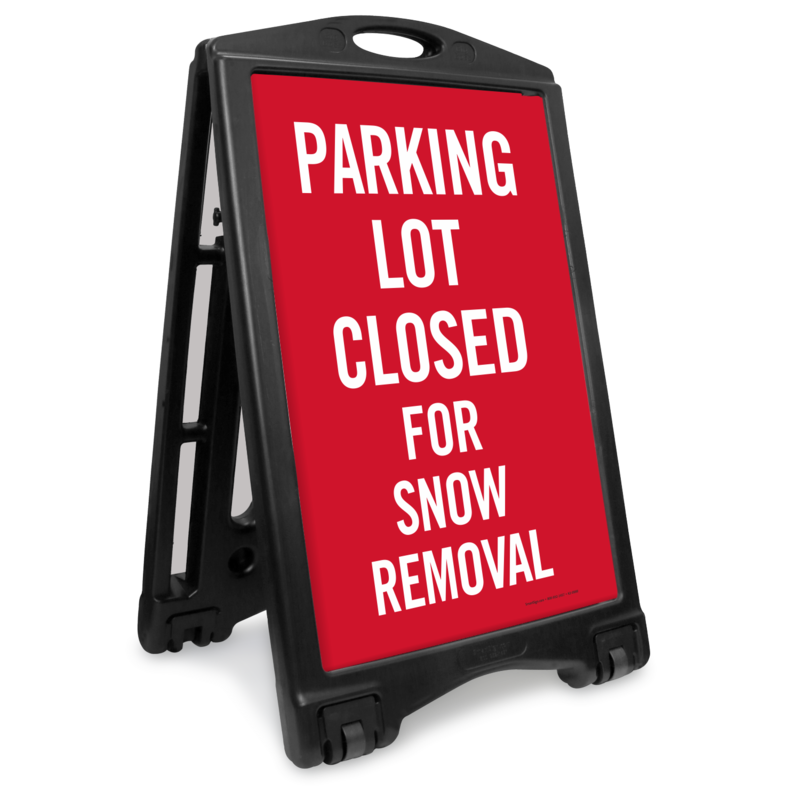 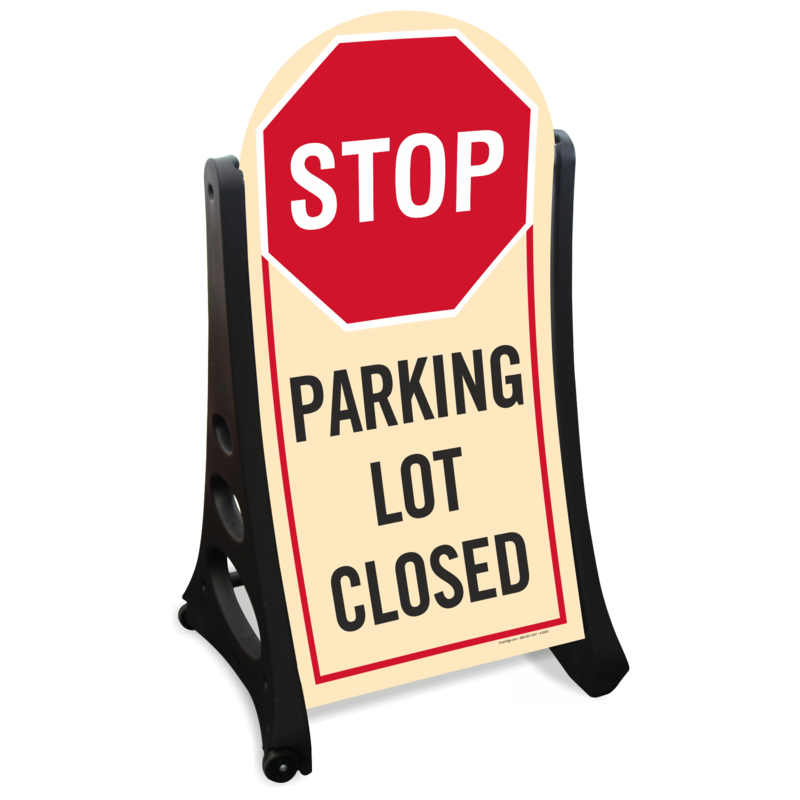 Prevent chaos in your lot and control approaching vehicles with parking lot full signs or parking lot closed signs. 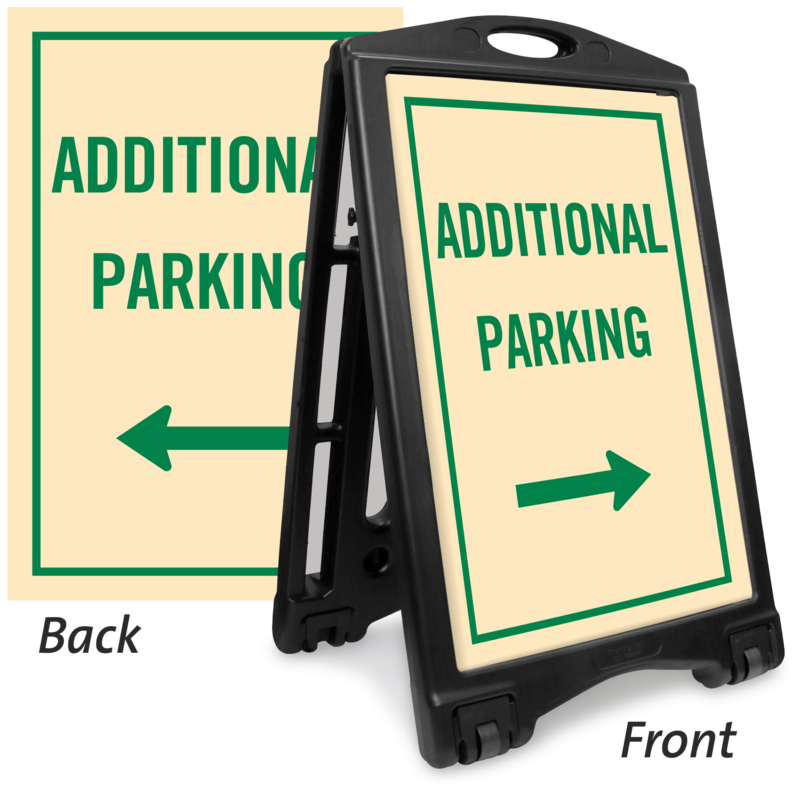 Sign and base kit is perfect for portability. 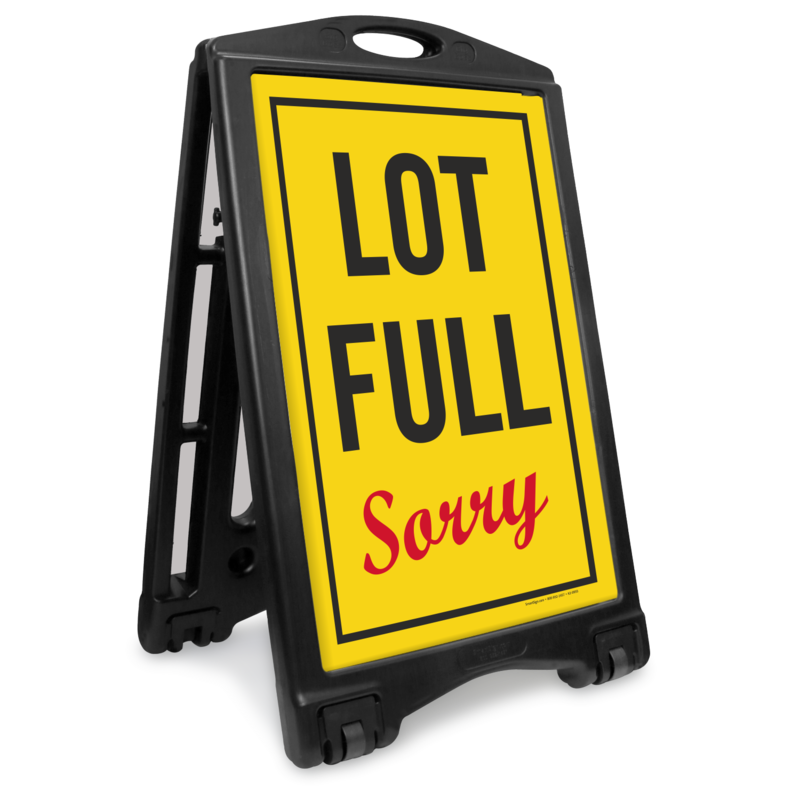 No heavy lifting required. 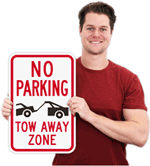 • Just tip the sign and roll it to move from one place to another. 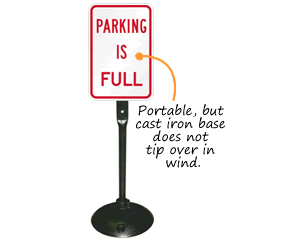 • Durable, wind-resistant base doesn't tip easily. 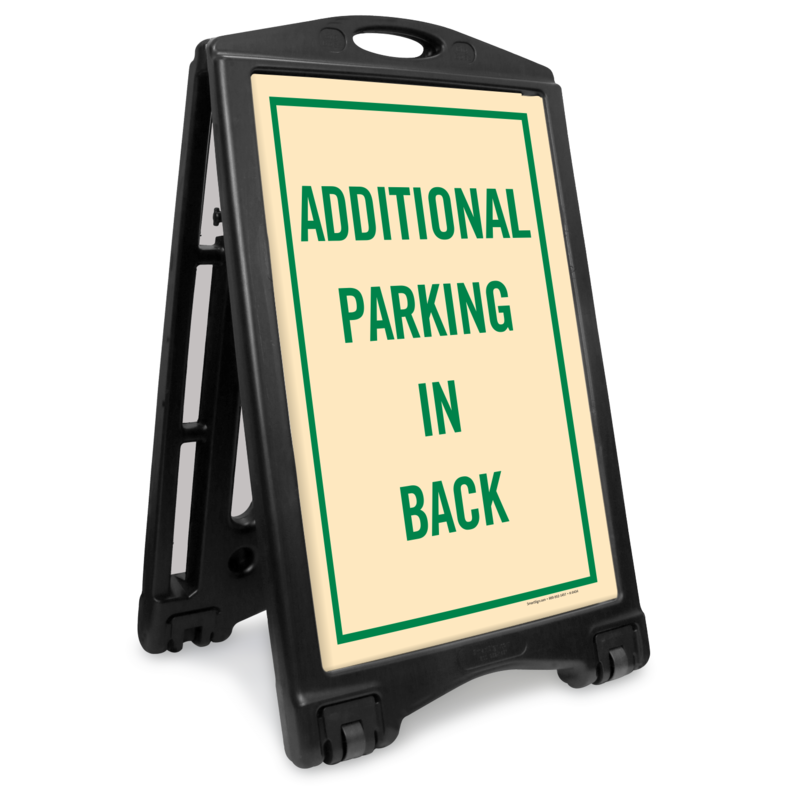 • MUTCD-compliant, reflective signs offer clear night visibility. 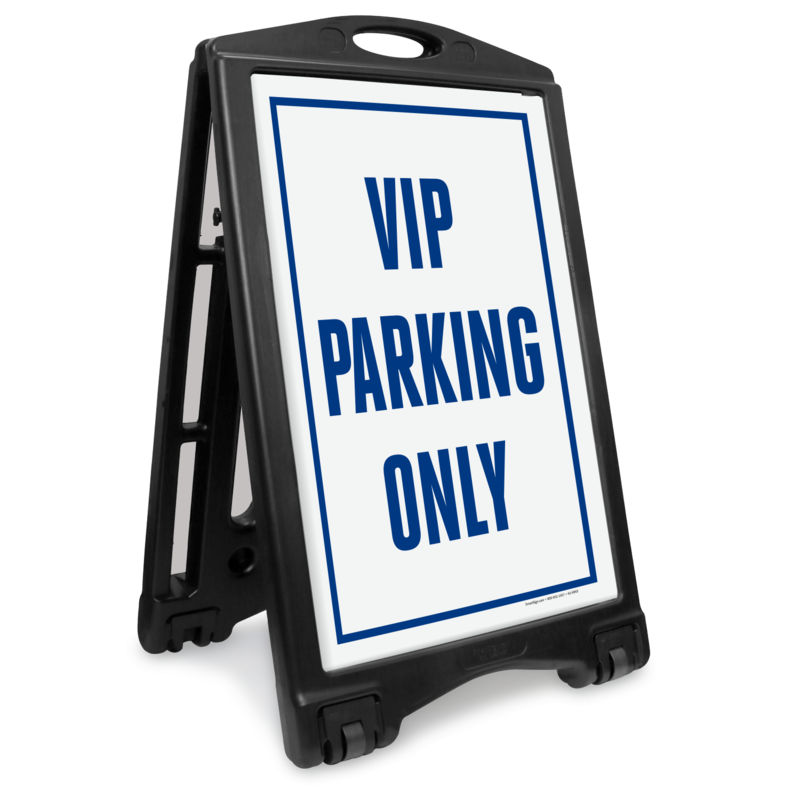 • BigBoss sign kits include two sign panels (one for the front and the other for the back) and a portable sign frame. 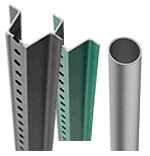 Panels can be ordered separately. Order the full sign kit or just the sign panel itself. 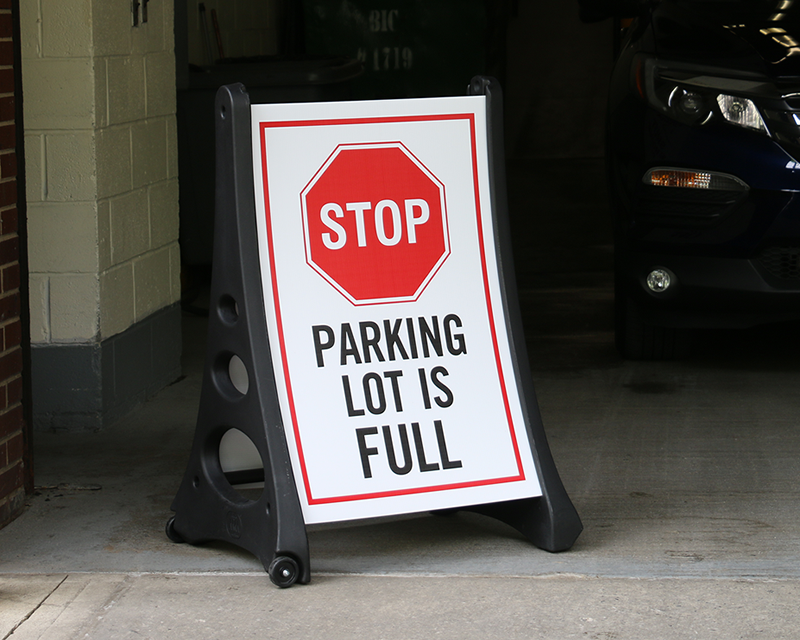 Sign panels are made of 160 mil thick corrugated plastic. Sorry ~ lot is full! 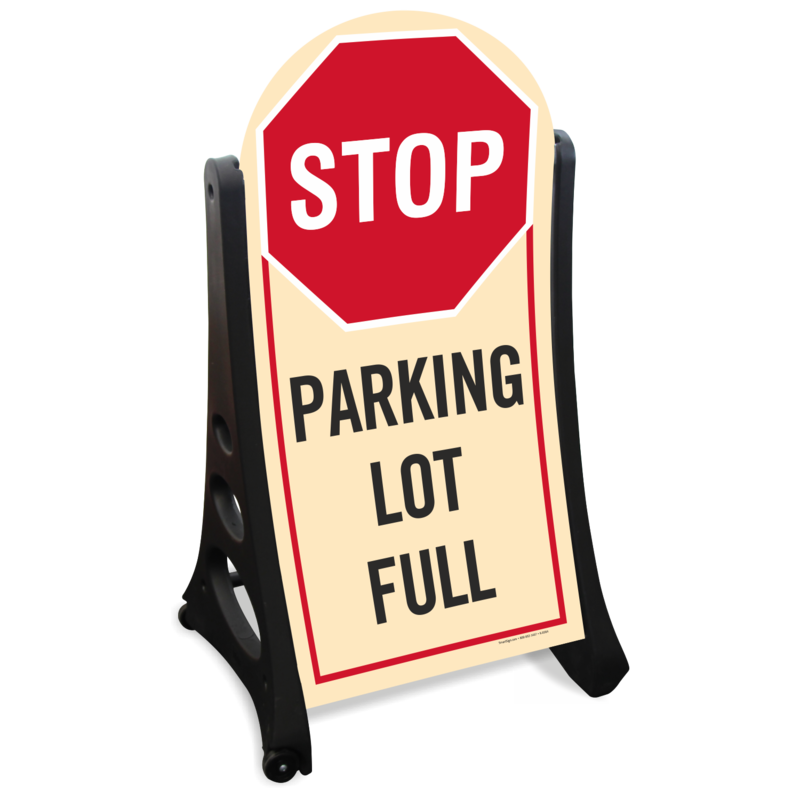 We like the sign because the cursive 'sorry' adds a friendly tone to the message, when people may be irritated that there is no more parking. For the price, these are good signs. 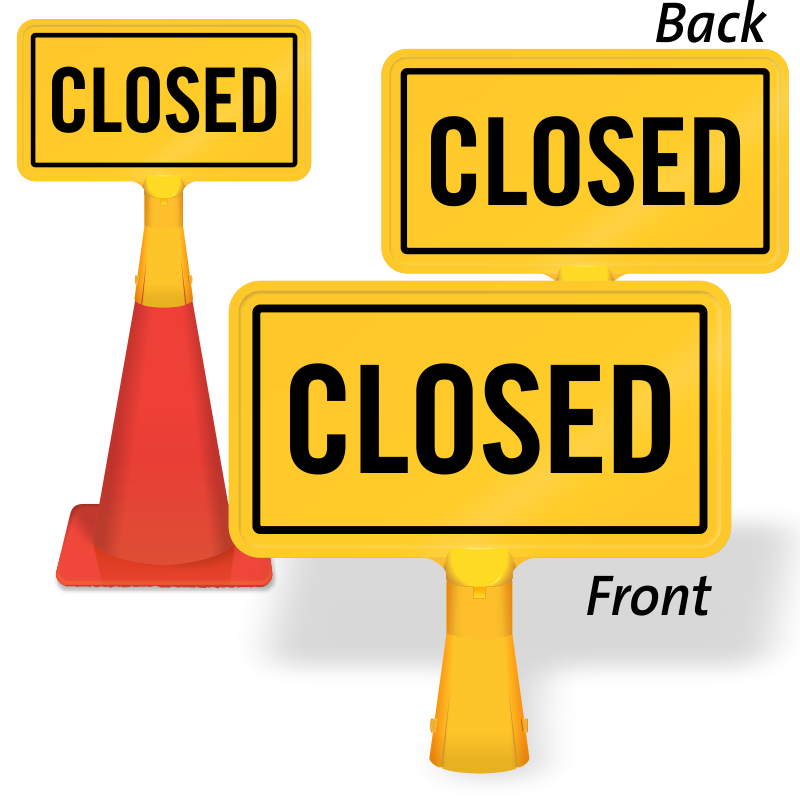 If you are using in a windy environment, you may have to brace your cone.